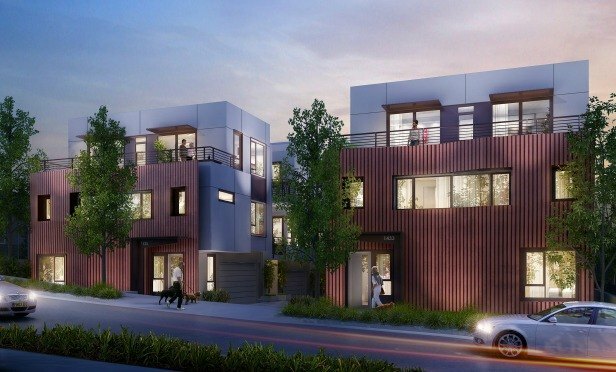 LOS ANGELES—The City of Los Angeles is updating its small-lot ordinance in an effort to create more neighborhood-friendly developments and affordable for-sale homes. A small-lot development called COVO, from KTGY. LOS ANGELES—The small-lot ordinance, which allows developers to build for-sale single-family neighborhoods on small, dense land sites, is getting an update. At the behest of the City of Los Angeles, a group of designers and architects have created a set of design guidelines for developers building under the small lot ordinance that will require certain design-forward practices. The ordinance was approved in 2005, and has been extremely popular in recent years as a means of fulfilling demand for for-sale housing and creating density. The update is still undergoing its last approvals, it is expected to pass this summer. To find out more about the update to the ordinance, we sat down with Alan Scales, a principal at KTGY.